For the perfect destination wedding, there’s no better place than Atlantis, Paradise Island. The newly-updated resort, which sits atop a coveted five miles of pristine beaches in the Bahamas, is the ultimate luxury spot for any bride- and groom-to-be to tie the knot. With over 15 stunning locations to host your wedding—whether you're looking to renew your vows with an intimate ceremony or are looking to celebrate your special day with an outdoor wedding on the sandy beaches of the Bahamas—rest assured that there's a variety of dream wedding locations for you to choose from. But, perhaps, the resort’s latest wedding venue, Ocean’s Edge, a breathtaking venue that overlooks the white sandy shores and deep blue waters of the Bahamas, is your perfect match. The multi-functional space is broken into three sections: the pavilion, beach deck, and event lawn, and offer hosts and their guests an unbelievable wedding experience. The indoor pavilion is easily transformed into a romantic seaside chapel and, later, a stylish lounge space for a wedding afterparty. The beach deck and event lawn, which offer a scenic view of the ocean, are within steps of the island's shores and are the perfect gathering spots to enjoy h'orderves and cocktails, served up by the resort’s incredible food and beverage culinary team. Onsite event specialists make every Atlantis, Paradise Island wedding a stressless one. 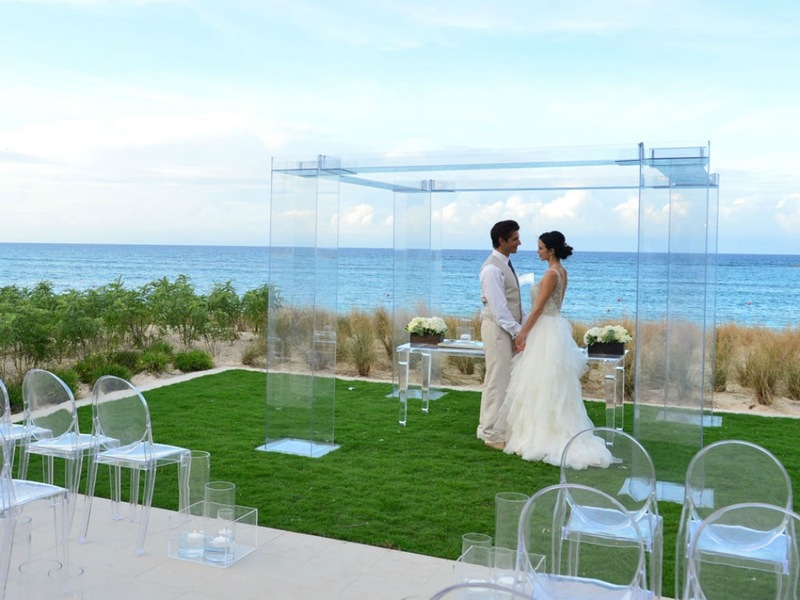 And with the ultimate space in mind, Ocean's Edge, you'll also have the wedding experience of your dreams. For more information about Atlantis, Paradise Island's latest property, Ocean's Edge, and its other amazing wedding venues, visit atlantisbahamas.com.